The owner was fantastic. Very accommodating when I had a late arrival and on top of that an almost 2 hour delay. This was very much appreciated. The apartment was small, but had all the basic necessities. Location was superb. 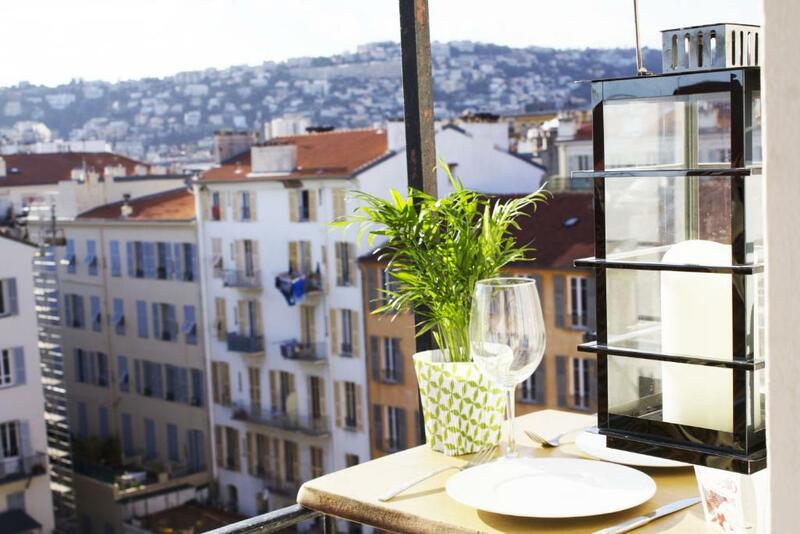 Really good place to stay in Nice. Location is perfect, apartment is fully equipped. Owner Juratė is so friendly and helpful. Only good memories from this place! We love the simple and modern design of the studio with adequate amenities. It is close to the train station, with easy access for shopping, looking for food and beach is just in walking distance. Friendly host, quickly replied to all my requests. Good location on walking distance to the city center, train station and the beach. Cosy room, very nice terrace. All necessary equipment (dishes, cutlery, towels, hairdryer, iron, umbrella). Location was fantastic, with restaurants and cafe nearby, sightseeing was easily accessible, and the view from the room was amazing both day and night! Our host was also friendly! Would definitely go back to stay, and recommend to anyone going to Nice! It was great! The apartment is in the center but the view of the mountains is very quiet and peaceful and when you go down the street you have everything: shops, restaurants, cinema tram just downstairs, easy to move, it is very animated, the apartment has a lot of very modern charm but with a cachet of the old. Very well equipped nice to get a good coffee in the morning provided by a very friendly host! an unforgettable stay! 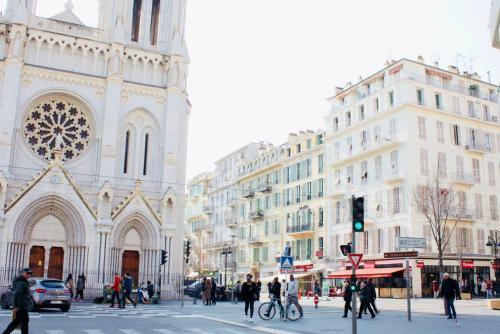 I loved Nice! 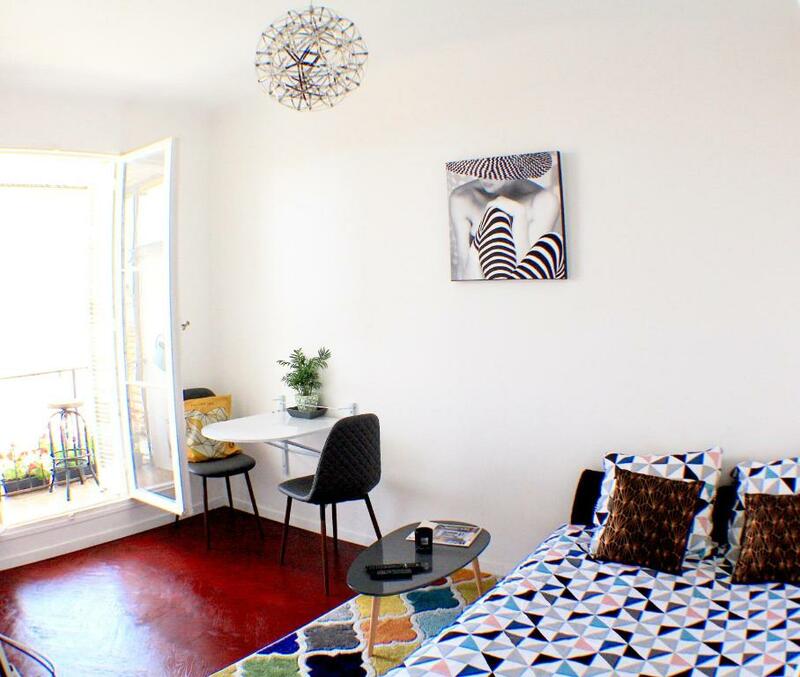 Lock in a great price for Appartement hyper centre – rated 8.5 by recent guests! One of our best sellers in Nice! 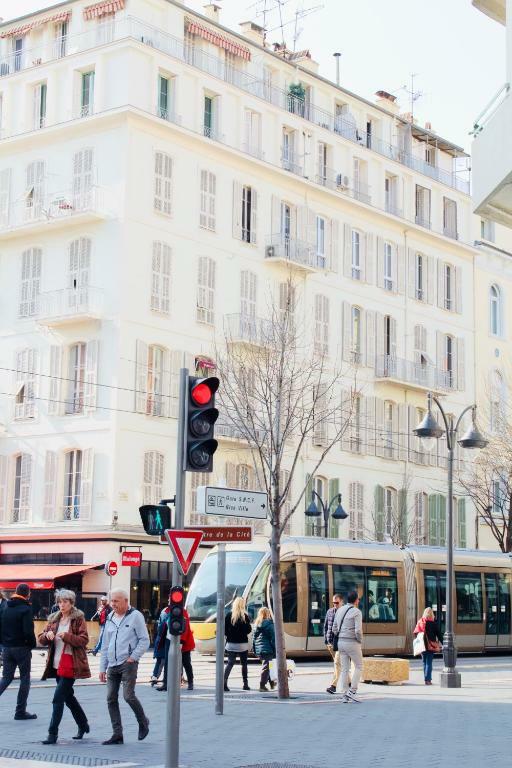 Featuring a terrace and a 24-hour front desk, Appartement hyper centre is well situated in Nice, a 7-minute walk from Avenue Jean Medecin and 0.9 miles from Russian Orthodox Cathedral. Guests have access to free WiFi. The apartment includes 1 bedroom, a bathroom, a seating area, and a kitchen. A flat-screen TV is available. Both a bicycle rental service and a car rental service are available at this property, while cycling and fishing can be enjoyed nearby. 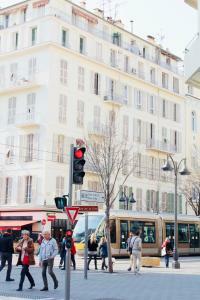 Place Massena is a 17-minute walk from Appartement hyper centre. The nearest airport is Nice Côte d'Azur Airport, 5 miles from the property. 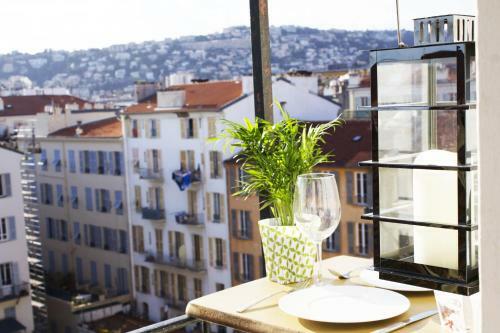 뀐 Located in the real heart of Nice, this property has an excellent location score of 9.0! When would you like to stay at Appartement hyper centre? House Rules Appartement hyper centre takes special requests – add in the next step! Perhaps can change another brand for the coffee. The room is very small: more or less ok for one, hardly for two guests especially if you are tall (the sofa is short, ceiling in the shower room is low). The host charged me additional 3EUR for 4 nights (some municipal tax as she said), though I have paid the total amount on booking.com in advance. No blanket, just big sheet for covering - there was a chilly night, and I got cold. Only two small towels, which had specific smell. Apartments are very small, I think the price is too high for this apartments. Of course it is city center, but in future I will choose apartments which will be more close to the beach. No place to hang your clothes: it was ok for 1 person, but for 2 persons it will be tricky with no closets/ hooks and no clothes hangers. There were only 3 hooks on the bathroom door for the towels. There could have been a towel for drying the dishes, now I had to use regular paper towels. A new sponge / dishbrush would have been appreciated - the sponge available had seen better days. The staircase /elevator smelled badly at times.